Copper is typically extracted from oxide and sulfide ores that contain between 0.5 and 2.0 percent copper. The refining techniques employed by copper producers depend on the ore type, as well as other economic and environmental factors. Currently, about 80 percent of global copper production is extracted from sulfide sources. Regardless of the ore type, mined copper ore must first be concentrated to remove gangue or unwanted materials embedded in the ore. The first step in this process is crushing and powdering ore in a ball or rod mill. Virtually all sulfide-type copper ores, including chalcocite (Cu2S), chalcopyrite (CuFeS2) and covellite (CuS), are treated by smelting. Jets of air are shot up through the water forming bubbles that float the water repellent copper particles to the surface. The froth, which contains about 30 percent copper, 27 percent iron and 33 percent sulfur, is skimmed off and taken for roasting. If economical, lesser impurities that may be present in the ore, such as molybdenum, lead, gold, and silver, can also be processed and removed at this time through selective flotation. At temperatures between 932-1292°F (500-700°C), much of the sulfur content remaining is burned off as sulfide gas, resulting in a calcine mix of copper oxides and sulfides. Fluxes are added to the calcine copper, which is now about 60 percent pure, before it is heated again, this time to 2192°F (1200C°C). At this temperature, the silica and limestone fluxes combine with unwanted compounds, such as ferrous oxide, and bring them to the surface to be removed as slag. The remaining mixture is a molten copper sulfide referred to as 'matte'. The next step in the refining process is to oxidize liquid matte in order to remove iron to burn off sulfide content as sulfur dioxide. The result is 97-99 percent blister copper. The term 'blister copper' comes from the bubbles produced by sulfur dioxide on the surface of the copper. In order to produce market-grade copper cathodes, blister copper must first be cast into anodes and treated electrolytically. Immersed in a tank of copper sulfate and sulphuric acid, along with a pure copper cathode starter sheet, the blister copper becomes the anode in a galvanic cell. 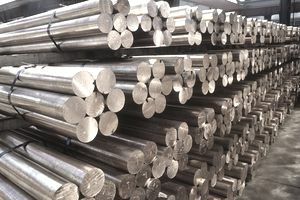 Stainless steel cathode blanks are also used at some refineries, such as Rio Tinto's Kennecott Copper Mine in Utah. As a current is introduced, copper ions begin to migrate to the cathode, or starter sheet, forming 99.9-99.99% pure copper cathodes. After crushing oxide-type copper ores, such as azurite (2CuCO3 · Cu(OH)3), brochantite (CuSO4), chrysocolla (CuSiO3 · 2H2O) and cuprite (Cu2O), dilute sulfuric acid is applied to the surface of the material on leaching pads or in leaching tanks. As the acid trickles through the ore, it combines with the copper, producing a weak copper sulfate solution. The so-called 'pregnant' leach solution (or pregnant liquor) is then processed using a hydrometallurgical process known as solvent extraction and electro-winning (or SX-EW). Other elements that may be present in the solution, such as gold, silver, platinum, selenium, and tellurium, collect in the bottom of the tank as 'slimes' and can be recovered through further processing. Electro-won copper cathodes are of equal or greater purity than those produced by traditional smelting but require only one-quarter to one-third the amount of energy per unit of production. The development of SX-EW has allowed copper extraction in areas where sulfuric acid is not available or cannot be produced from sulfur within the copper ore body, as well as from old sulfide minerals that have been oxidized by exposure to air or bacterial leaching and other waste materials that would have previously been disposed of unprocessed. Copper can alternatively be precipitated out of the pregnant solution via cementation using scrap iron. However, this produces a less pure copper than SX-EW and, so, is less often employed. In-situ leaching has also been used to recover copper from suitable areas of ore deposits. This process involves drilling boreholes and pumping a leachate solution - usually sulfuric or hydrochloric acid - into the ore body. The leachate dissolves copper minerals before it is recovered via a second borehole. Further refining using SX-EW or chemical precipitation produces marketable copper cathodes. ISL is often conducted on low-grade copper ore in backfilled stopes (also known as stope leaching) ore in caved areas of underground mines. The copper ores most amenable to ISL include the copper carbonates malachite and azurite, as well as tenorite and chrysocolla. Global mine production of copper is estimated to have exceeded 19 million metric tons in 2017. The primary source of copper is Chile, which produces approximately one-third of total world supply. Other large producers include the US, China, and Peru. The largest corporate producer of copper worldwide is the Chilean state enterprise Codelco. Codelco produced 1.84 million metric tonnes of refined copper in 2017. Other large producers include Freeport-McMoran Copper & Gold Inc., BHP Billiton Ltd., and Xstrata Plc.